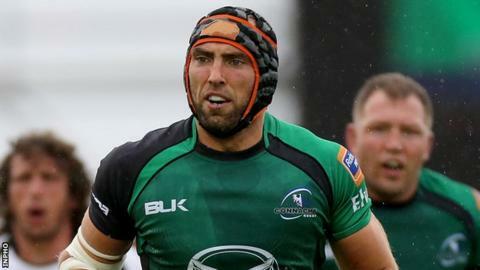 Connacht flanker John Muldoon has signed a two-year contract extension to keep him at the club until 2016. The 31-year-old has made more than 200 appearances for the Galway-based province since his debut in 2004. Coach Pat Lam said former captain Muldoon remained a frontline player, even after 12 years at the club. "His character means he is influential on and off the field and it is a real boost for Connacht knowing he will be here for another two years," said Lam. "John is a true professional in everything he does and someone you want the other players to follow." Muldoon, who has three Ireland caps, said he had never entertained the idea of leaving his home side. "This is where I am from and I have so much pride in every game I play for the province," he said.